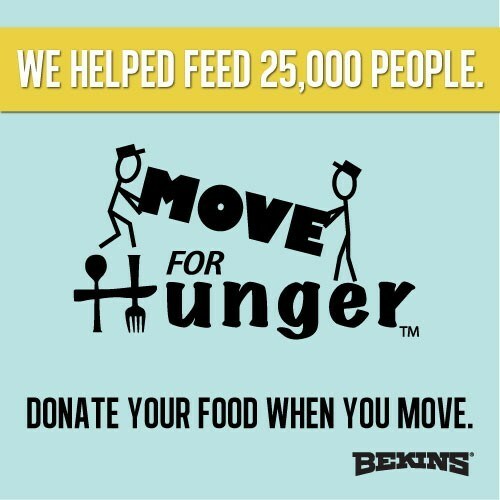 Move For Hunger, the organization that works with local moving companies to feed families in need, has recently acknowledged Bekins of South Florida for delivering 91,000 pounds of food - enough to provide 75,000 meals to the Feeding South Florida food bank.. 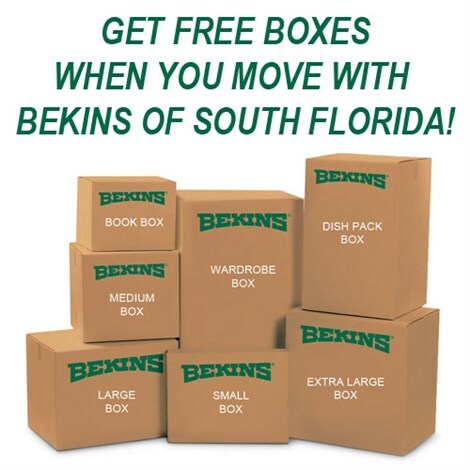 When a Bekins of South Florida customer would like to donate non-perishable food items during their move, we will collect the food items and transport them to the South Florida food bank. They will then distribute the food to people in the area. “As a partner with Move for Hunger for the past several years, we are proud to support their mission to reduce food waste and fight hunger," said Joseph Sabga, President of Bekins of South Florida. "It's a great way for us to give back to the South Florida communities we have served for the past 48 years." We would like to provide a special thank you to all of our customers that have contributed food from their moves - you helped to make this achievement possible! You can learn more about the Move For Hunger initiative at www.moveforhunger.org. You can learn more about Feeding South Florida at feedingsouthflorida.org.